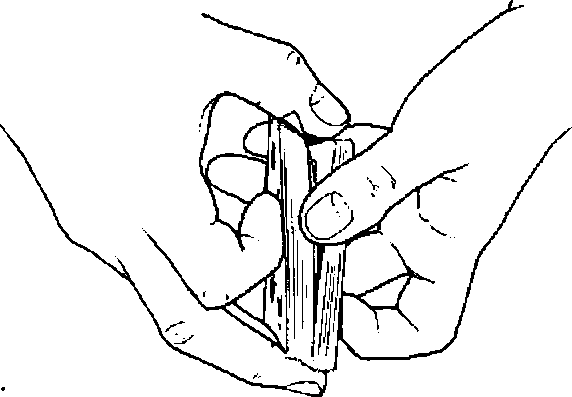 The pegger is used to raise a tiny bump on the back of the card you wish to mark that your thumb can feel as you deal. You'll need to experiment to determine the best spot to position the blister so that the tip of your thumb can feel it with a minimum of movement. It all depends on how your thumb lies across the top of the deck as you deal. 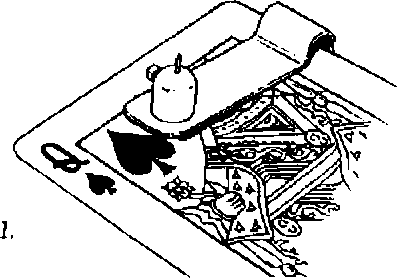 Once you've determined that spotT peg the ace, king, queen, jack, and ten of spades at both ends.